If your home is for sale, a holiday wreath is one terrific way to boost your curb appeal. In fact, a wreath on the front door is pretty much a necessity if you want to get buyers curious about what's behind "door number one." 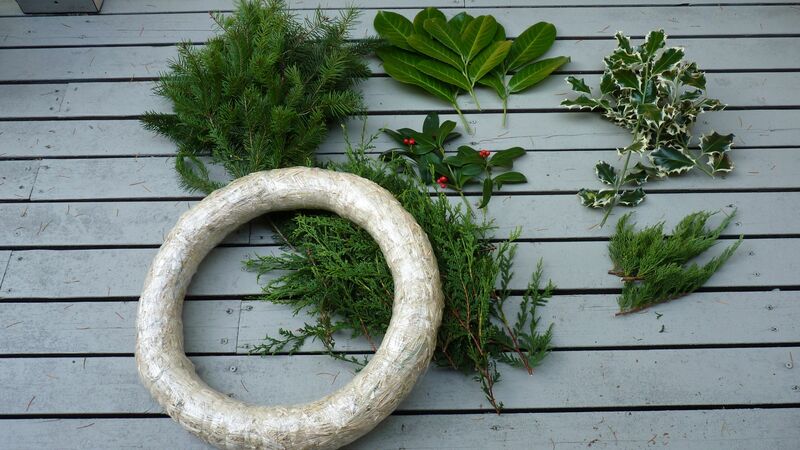 Make your own evergreen wreath, and you’ll save money, create one that’s unique, and have some fun. What’s the secret to turning out a beautiful wreath that doesn't look homemade? Actually, there are three secrets. A novice makes a skimpy wreath. A professional makes a lush one. A full base of greenery is more important than what decorates it. 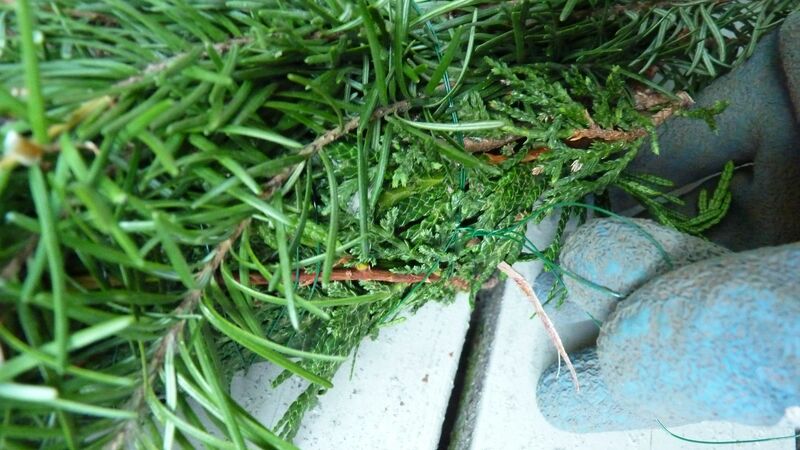 If you aren’t able to gather or purchase all the greenery, you can buy a plain evergreen wreath as a start. For a professional-looking wreath, choose striking ornaments. Choose ones with color or shine, ones that tell a story or make people smile, ones that might even be…how can I say this…gaudy. They need to be dramatic to stand out. No wallflowers if you want some noticeable curb appeal. A wreath isn’t finished until it has a singular statement piece. It’s usually the bow, but it can also be a super-sized ornament like a doll or other figurine like a feathery angel or a sparkly snowman. It could be an over-the-top silk flower arrangement, a printed banner, or a vintage toy. Without the focal point, the greenery wreath is nothing special. When your home is for sale, your wreath can be part of your selling team. Have it emphasize what’s unique to your home. It might capitalize on what’s special about your town or your part of the country. 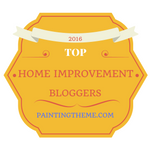 It might reflect the carefully chosen color scheme you’ve decorated your exterior or interior with. It might mimic the style of your home, such as classy traditional, hip mid century modern, charming cottage, or edgy urban. pack it tight. If your wreath will be seen from both sides, you'll need enough to make it round. My favorite wreath form is the straw wreath. Besides being the most economical (Have you seen the prices of foam wreaths lately? ), it’s easy to work with, versatile, and sturdy – a great start for creating the full look. I wrapped the entire wreath form in florist’s tape because I didn't want any straw showing. Did you know that as you apply florists tape, you need to stretch it to about twice it length? Stretching activates the wax that makes it sticky. Just stretch as you go, and place where you want it. Whether you have a collection of various greens or a stash of one variety, get it all together and discard or trim damaged foliage. If you plan to use your wreath indoors, you can prolong its life by soaking the foliage stems in water overnight after cutting them. 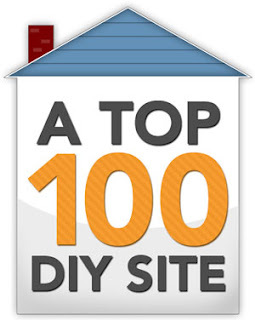 Ideally, you’ll have free or low cost sources for the base of the wreath, possibly trimmings from your yard or from a fresh Christmas tree you buy. Along with traditional coniferous greenery like juniper, pine, and false cypress (hemlock and spruce will shed), I like to mix in shrubbery and broadleaved evergreens like boxwood, mountain laurel, pittosporum, nandina, English ivy, holly, magnolia leaves, eucalyptus, or whatever else I can collect. clusters of greenery so that the entire form is covered, including the sides. 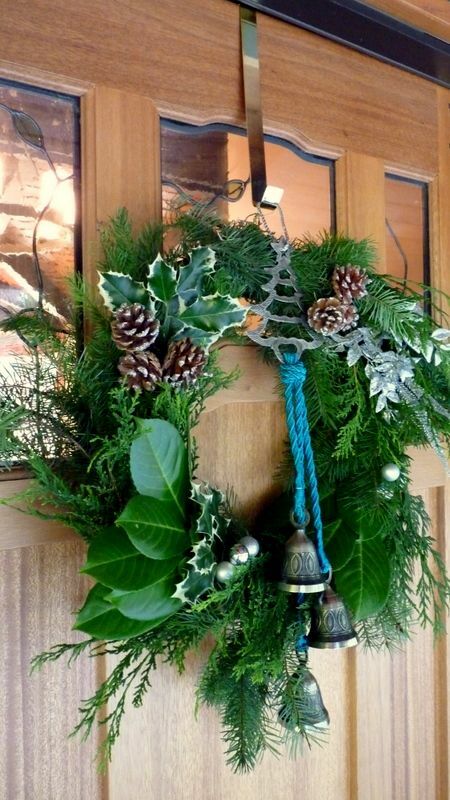 Use medium gauge wire or heavy twine to attach greens to the wreath form. To start, wrap it once around the wreath and secure it. Then, cluster a handful of greens, lay it on the wreath with one hand, and wrap the wire over the stems and around the wreath two to three times with the other hand. Continue all around the wreath form, staggering the clusters of green so that one cluster hides the stems of the previous cluster. I prefer using wire because it’s easier to keep it tight, and that’s important as you continue around the wreath form. When you’ve come full circle, twist the wire or tie the twine, and make a loop for hanging. the top, you can save this step for later, but it's easier to add it earlier than later. If the greens look crooked or untidy, you can trim stray greenery with scissors or pruners. A common mistake beginners make is to have a shaggy wreath, but I like a bit of that loose look. Ornamentation is either wired on, picked in, or glued onto a wreath. When the wreath base is made of wire, you’ll need to wire the ornaments onto it. On a foam or straw base, you’ll either glue on or pick in the ornaments. Picking lets you put ornaments exactly where you want them so they will stay there until you take them off. Glued ornaments aren’t easily removable. If you’re on a budget, use thrifted, recycled or natural items for ornaments. After-Christmas sales are an ideal time to score on some wreath-making ornaments for next December. If free, natural objects like nuts, shells, seed heads, twigs, and pinecones look too ordinary, give them a hit of silver or gold spray paint. Here’s how to make a pick, the way a floral designer showed me, the “load and lock” way. with a wire that loops back between the stem and the pick. Picks come in different sizes. Lay the pick large enough to accommodate your cluster next to the stems. Make one turn around the stems with the wire that’s attached to the pick. Then, make a figure eight of the wire between the stems and the pick. 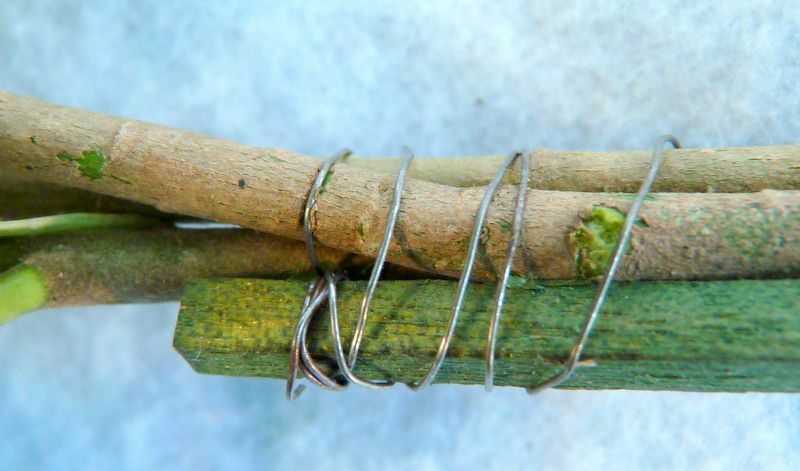 Keep the wire tight, and continue to wrap it around the stems and the pick. This figure eight locks the cluster so it stays in place instead of swiveling or going nutsy on you when you add it to the wreath. Craft stores and craft departments are full of items to put that all-important exclamation point on your wreath. If there is one place I’ll splurge a little, it’s on the one statement ornament. But you'd be surprised how some spray glitter or spray snow on a thrift store find can deliver glam results! my stash to be the centerpiece of this wreath. If a multiple-loop bow is your focal point, I have five tips for making it a winner: Use wired ribbon, don’t skimp the number of loops (10 on each side of the center is about right), use florists wire to tie the center, keep it tight in the center, and fluff it up! If you want a more romantic bow, here is a tutorial from Diane at In My Own Style. If you want a simple, tied bow that stays straight instead of going all crooked on you, Kristi at Addicted 2 Decorating can show you how. Some of my tips for wreath making don’t apply to novelty wreaths. If you’re crafting a wreath of felt flowers or buttons or pine cones, you may not need a focal point. If you’re building on a wire or foam wreath, you might tie ornaments on with lengths of florist wire or chenille ties instead of wooden picks. If you’re making a wreath of coffee filters or rags or feathers or driftwood, the wreath itself is the statement and whatever you add to it depends on personal style. 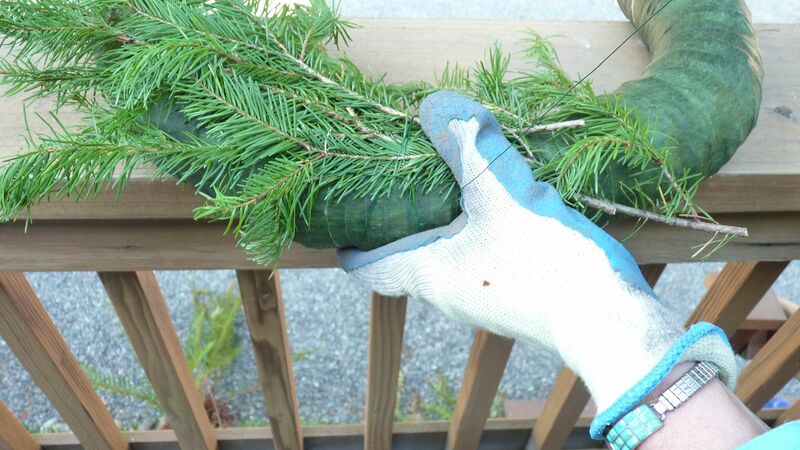 But if you’re turning out a wintry evergreen wreath, my tips will help you make it look polished and complete. Whether your Open House is to lure buyers for your home on the market, or to share holiday cookies with your neighbors, or host your annual New Years Day bash, a wreath on the front door welcomes in style whoever knocks on your door. If you make it yourself, you can make it special. And to help you lure those buyers, download my $4.99 ebook, DIY Home Staging Tips to Sell Your Home Fast and for Top Dollar, for tips and tricks the pros use to stage homes that sell. Are You Inviting Trouble Into your Home? We Have A Shabby Chic Winner!